Happy Sunday and better yet...Happy Fall! It's finally hereeeee...the best time of the year! To a plain white paper sack, I've attached dots of washi tape and glitter. 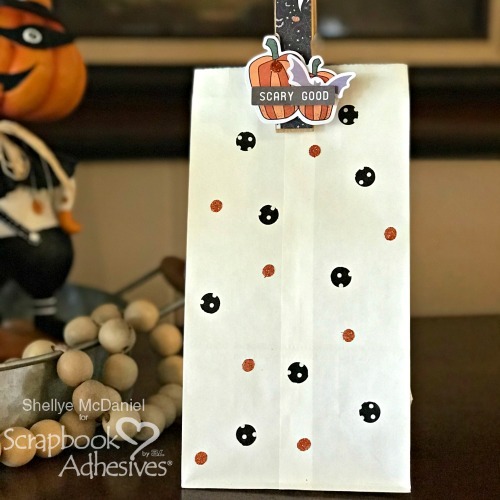 At Scrapbook Adhesives, this is what we call "wearing your adheisve on the outside"
alternative...especially if you're needing to make several! 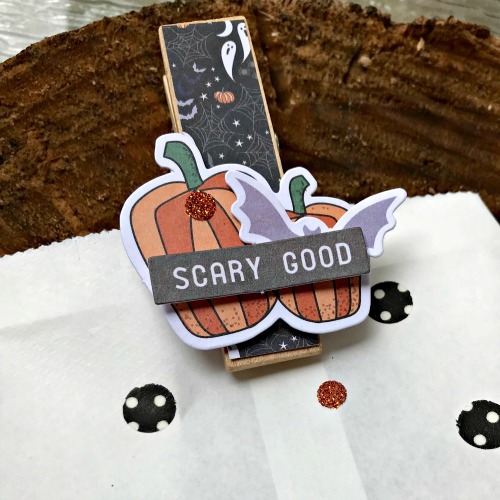 treat bags think about using stamps and dies to make your own die-cuts! Again, see all of the tips & tricks for this project at Scrapbook Adhesives Blog.